MAYO - Sandra A. "Sandy" (nee Reimer) of Buffalo. Entered into rest June 24, 2018. 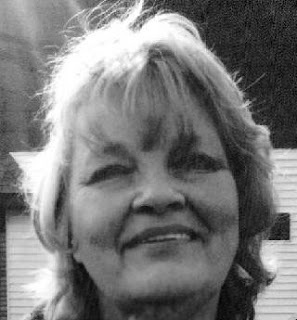 Beloved wife of Anthony N. Mayo; devoted mother of Kimberly Kaliszewski (Raymond Battista) and Sheryl (David) Hamm; cherished grandmother of Samantha, Stephanie, Salvatore, Riley, and the late Andrew Michael Krawczyk; loving daughter of the late Edward Reimer and Rita Bern; dear sister of Beverly (David) Daurellio and Barbara Harsch; cherished aunt. Relatives and friends may visit the LOMBARDO FUNERAL HOME (Southtowns Chapel), 3060 Abbott Rd., near Lake Ave., on Saturday morning from 11 AM-1:30 PM. Funeral Service will immediately follow. Sandy was a longtime Buffalo Bills season ticket holder and also went to four Super Bowls. Please celebrate her life by wearing Bills attire.